In no particular order, these are some of the top dogs in the business. From cartoons to heroes and even time travellers, have a sniff of these highlights.If you have a dog then click here for online vet medicine at a good price. 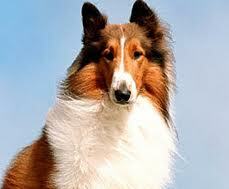 Lassie started off as a set of novels but quickly made it to film, enduring a sixty-two year career, although with different dogs as they progressed. This early-90s family comedy stars a St. Bernard as the centre of all events. Named after barking at a piece by Ludwig Van Beethoven, he goes on a quest to foil the unethical plans of Dr. Varnick. Although the film got astonishingly average reviews, this stays in the memory of any child born in the 80s and 90s. One of the main characters in Walt Disney’s 1955 film Lady and the Tramp, the stray mutt falls in love with an American Cocker Spaniel belonging to an upper-middle class family. If you can’t instantly recall the spaghetti restaurant scene then it’s proof that you aren’t human. One of the more recent dog heroes of the film world, Bolt, voiced by John Travolta, is a film star pup who is famed to have superpowers. His quest involves the sudden realisation that they don’t exist, and he has to sort out his problems without them. All he does have is an annoying hamster. I hate that hamster. 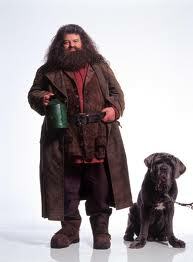 Rubeus Hagrid’s huge Boarhound was one of his many pets that followed Harry and crew into adventures. The actual breed is a Neapolitan Mastiff, famed for their size and scrunchy faces. Not many other dogs could look big in the company of Robbie Coltrane in that film. This book really took off in novel form after an American column writer documented his relationship with an ADHD Labrador retriever. The film was just as adorable and Jennifer Aniston isn’t bad either. There is a beautiful message about love thinly veiled within there too, if you like that sort of thing. The Border terrier is best known in Anchorman: The Legend of Ron Burgundy, mainly for being kicked off a bridge by Jack Black, but also for eating a whole wheel of cheese and pooping in the refrigerator… Amongst other things. Other film appearances of the border terrier include Return to Oz, There’s Something about Mary, 102 Dalmatians and Lassie. Doc Brown’s dog, Einstein is the first dog ever to time travel on film and in the film he was the first time traveller, regardless of species. In fact, he is in real life too: Ground-breaking stuff. In The Nightmare before Christmas, Zero is the pet of Jack, the pumpkin king. He has a glowing pumpkin nose and a gravestone dog house. At the end of the movie Zero floats into the sky, becoming a star. I’m not entirely sure what that means. 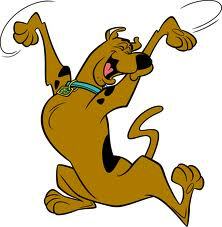 It shouldn’t need explaining why Scooby Doo should be in the top 10 dogs in Film. The cartoons have been going since 1969 and are still one of the most popular things in children’s TV, spurring a film series featuring the whole Mystery Incorporated gang. Dog fleas are a common seasonal parasite which regularly plagues canines and can bring along a number of complications. The wide availability of treatments and cures leaves no excuses for letting a dog suffer prolonged infestations and possibly incur long-term damage. Here is the rundown on the nature of dog fleas and how they affect their hosts and environment. Dog fleas, or Ctenocephalides canis, are a blood-sucking parasite species which targets primarily canine hosts. They are similar to cat fleas but are less likely to attack other hosts, such as humans. Their survival period without food is a few months, and female specimens need blood before they can lay eggs in their host’s coat, about 4,000 at a time. The eggs go through a four-stage cycle until maturing over a couple of weeks’ time. 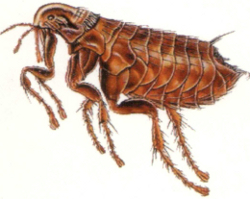 Fleas cause dogs considerable discomfort and agitation. Infested canines scratch their heads and necks and often bite their hind areas and tails – these are fleas’ preferred spots. 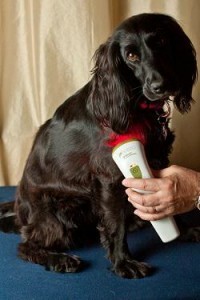 The continued scratching leaves the skin inflamed and can even result in hair loss. These physical symptoms are often paired with psychological ones, making dogs more nervous and anxious than usual. Fleas are more than just a passing annoyance; they can bring on a number of serious complications for dog health. Based on About.com’s detailed report, here are some of them. First off, the non-stop itching and scratching wear out canine fur and skin, exposing the body to various diseases which often bring unpleasant odours along. In addition, many dogs develop allergic dermatitis due to excessive contact with flea saliva. Fleas can also infect a dog with tapeworms which are notoriously difficult to cure. Excessive biting and blood-sucking can sometimes leave a canine anaemic. Many of the above ailments will apply to humans, too. As this account in the Guardian illustrates, the itchy bites affect everyone in the household. In humans, the bites concentrate in areas with gentler, thinner skin such as the backs of joints (elbows, knees, ankles). Dermatitis and tapeworms affect humans and dogs equally. Prevention is the best starting point on the road to durable health. Dog fleas prefer defenceless hosts, so sick and old dogs as well as puppies are at a higher risk. Their immune systems need an extra boost through a healthy diet and relevant food additives. Flea combs are a great way to discover an initial parasite community before it multiplies. Once an infestation is verified, immediate measures must follow. It is easiest to pick effective dog flea treatments from the Pet Medicine Company which carries a wide variety of cures with different strength and range. 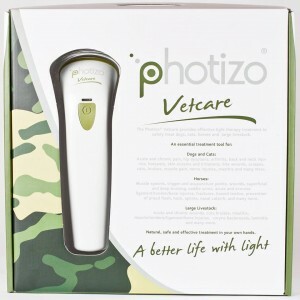 Have you always wanted a pet dog but are worried about leaving them alone whilst you are at work? If so, we have the perfect solution for you. We have two Hearing Dog training centres one based in Bielby, Yorkshire and the other is in Saunderton, Buckinghamshire. 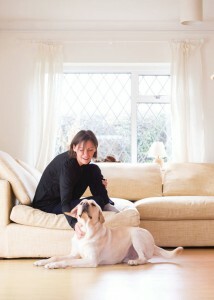 Here our wonderful and intelligent dogs learn how to transform the lives of deaf people. We teach them how to alert to important sounds such as the doorbell and alarm clock, plus danger signals like the smoke alarm. Hearing dogs also offer emotional support to deaf people which make them valued and vital companions. During their four month soundwork training we need bed and breakfast volunteers to offer our hearing dogs a place to stay and relax in overnight and at weekends. You would simply need to bring the dog to one of our centres each morning during their training and collect them at the end of their working day. We even supply the bed and breakfast! To find out more information please watch the short video below or email us at volunteer@hearingdogs.org.uk. You can also visit www.hearingdogs.org.uk/work.